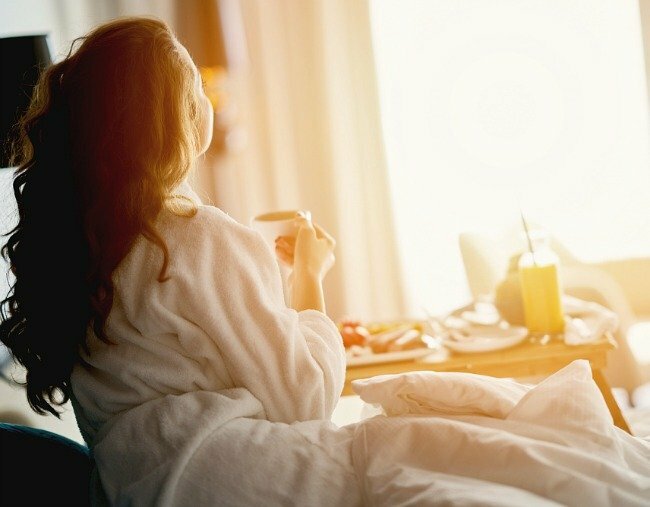 12 hotel hacks to get the most out of your holiday, freebies included. Every human being on the planet loves free stuff, especially when it comes to hotels (and flights), and knowing insider hotel secrets can really add some serious comfort to your trip. We’ve made it our mission to figure out all the tricks of the trade so that the next time you book a hotel, you might score a free upgrade or some goodies that will make your stay just that extra bit special. 1. The concierge is king. If you’re in a city where theatre is a big thing (hello New York! London! Milan!) the concierge can be like your own personal magician. Some savvy concierges make sure they have tickets to hit shows available for their guests, and it is definitely worth asking, especially if want to get tickets to Hamilton in the next 865 years. The same goes for some popular restaurants, or fancy hairdressers, or even sourcing a last minute babysitter. 2. You can borrow stuff… a lot of stuff. Weirdly, no one ever does, but hotels have huge caches of strange goodies you can borrow, or be given for free. Things like umbrellas (is there anything more annoying than not having an umbrella when it’s raining? ), hair straighteners, tweezers, lint rollers, razors, bow-ties, yoga mats, cuff links, adaptors, phone chargers, hair ties, and even things like tampons, nail files and ear plugs. Check-in and check-out times aren’t nearly as strict as you think. For those wanting to check-in early, your best bet is to just let the hotel know in advance of your arrival, and they will usually do their best to accommodate you free of charge. However, this is best done in advance, because if you roll up at 6am on the morning without a pre-warning, you may be left staring at the housekeeper in an empty hotel bar til 3:00pm. For check-outs, you’d be surprised how late you can stay just for the asking. If the hotel doesn’t have a guest chomping at the bit for your room, usually you can request to check-out an hour or two later than the scheduled time. Large chains like Novotel and Westin even offer late check-outs as standard on Sundays, which is a bonus for anyone who likes to hit the town on Saturday night. If you’re due to check out in the afternoon, and have an evening flight, you can usually use the spa facilities for the duration of the day. Often, you’ll find that you can while away a few hours waiting for a flight in the pool at your hotel’s spa, as long as you let the front desk and the spa staff know, you should be good to go. 5. It’s your special day! Seriously. Calling ahead to let the front desk know that it is your anniversary (even if it is the anniversary of you finally managing complete that super hard level of Candy Crush) can result in an upgrade, free champagne, flowers, and chocolate. Front desk staff are notoriously kind when it comes to helping you celebrate an occasion, especially as it wins points for the hotel’s reputation. It’s not a surefire fact, but corner rooms are normally the nicest rooms on the floor, and if it doesn’t look likely you’re going to get an upgrade, asking for a corner room is the next best thing. They are almost always larger, with better views, and usually a bigger bathroom. Best of all, they’re not usually considered an upgrade, so you should be able to get a better room free of charge. Yes, it’s true, those loyal to their hotels will be the first in line for in-room perks, and if you’re a traveller that loves racking up points, this is the route for you. However, if you’re a bit of a commitment-phobe, it doesn’t mean that you can’t still get in on the action. A lot of rewards programs offer benefits as soon as you sign up, such as Starwood’s Preferred Guest Programme, Hilton Honours, and Fairmont’s President’s Club. We’re talking being able to pick your own room, late check-outs, complimentary drinks, faster check-in lines, free WiFi (how is WiFi not free in every hotel nowadays? ), and the best perk: free breakfast. The nightmare of kids in hotel rooms: Holly Wainwright speaks about the reality of being in a hotel room with small children. Post continues after audio. We may all feel a thrill filling up our suitcases with all the tiny toiletries the hotel offers, but you don’t need to worry if you drop your bag and the toiletries fly in the face of the front desk staff – those toiletries are for you. In fact, you can also take the slippers, and swan around your house with your kingdom of tiny toiletries and cosy feet without worrying about the full force of the law descending on you. Just don’t take the towels, bathrobes, or television set (this actually happened). As Ross Geller said, it’s just about figuring out that line between stealing, and taking what the hotel owes you. i.e. pls don’t steal the TVs. 9. Take advantage of the spa. There’s more to a hotel’s spa than just being able to hang there when you are at a loose end, and that is the actual services and treatments. You’ll be surprised how good the discounts are at the in-house spas if you just ask what specials are going for guests. Often you’ll find that morning treatments come in cheaper than afternoon/evening ones (when most guests book), or combo specials offered to guests that are staying longer than one night. Call up the front desk, or the spa staff to find out more. Loads of hotels offer free transfers from the airport, and this can be a real load off if you’re heading to a new city or country. This is especially true of seaside resorts, so call up, because nothing is worse than finding out that $50 taxi you just paid for could have been a free-of-charge pick up. One of our favourite things about hotel stays - the hotel breakfast. Breakfast finishes at 10, but your weekends don’t get started til 11? One of the best-kept hotel secrets is that you can usually request a takeaway breakfast. It might not be eggs for days and your own personalised waffle at the pancake station, but usually you can get a lovely breakfast of yoghurt, fruit, juice, and even a pastry if you ask nicely. If there is a real issue with your room, like a dodgy air conditioning unit, bad WiFi, a chilly shower, or lipstick marks on your glasses (ewwww! ), then absolutely let the duty manager know. Don’t go all Russell Crowe and trash the room and abuse the staff, but do politely ask to be moved to a room that is the equivalent of (or hopefully WAY better) than the ropey one you’re in. If there are no other rooms available, it’s worth seeing if you can get a credit at the spa, bar, their restaurant, or even a discount for future or present use. This piece was written by Roxane de Rouen and originally appeared on Skyscanner. It has been republished with full permission.